There is just something about that creamy inside that is all warm and filled with delicious chicken and veggies. Plus you also have that wonderful flaky crust. I had never attempted to make them before. Kiddos never really liked them when they were younger. Now however they are not opposed to eating them at all. Enter in out new kitchen gadget. 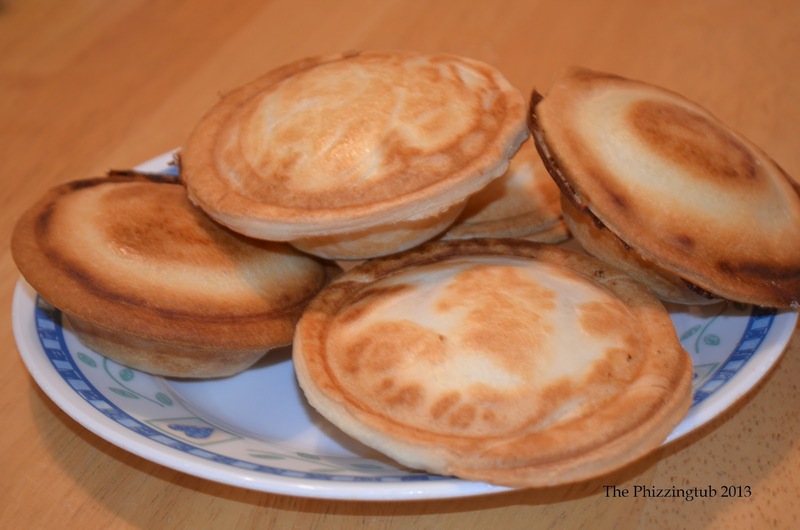 A mini pie maker by Bella. DH and I are the only two in the house that eat pies. Making a large pie for this house is crazy because we tend to throw away more than we eat. 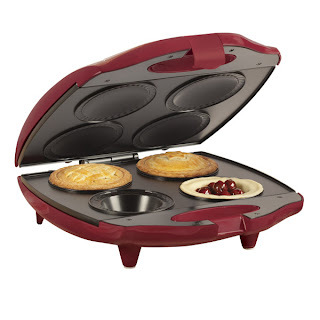 This new little friend allows us to make the perfect size and amount of pie. I could not wait to make our own warm, tasty and personal pot pies. 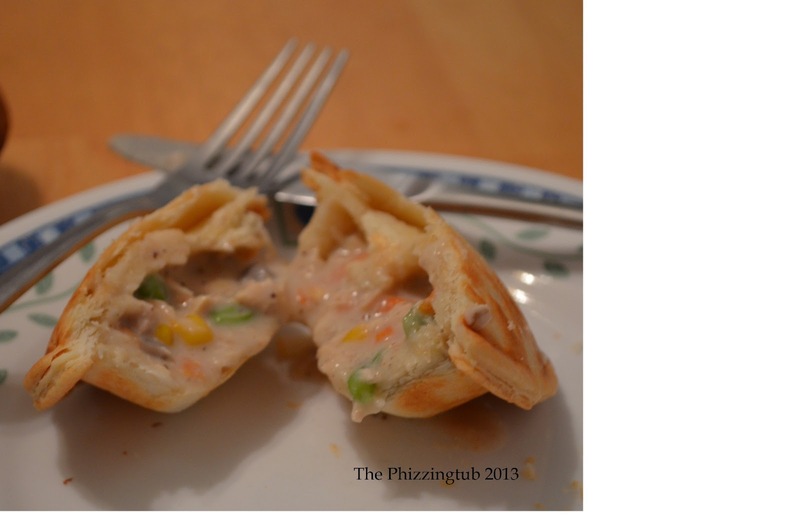 The filling was quite easy to make. I have to admit to cheating on the crust. We had a left over pie crust from Trader Joe's that I opted to use. I have to say this little cooking gadget has come in handy. The sky is the limit on what tasty treats we can create.